Do you ever get a winter face rash like this one and wonder what’s causing it? 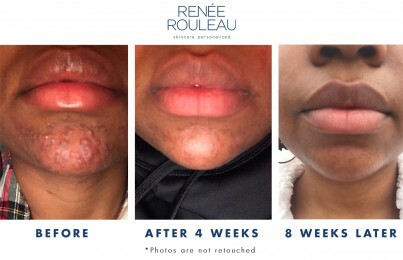 Every winter, without fail, people contact me and say, “The skin on my face, chin and neck is getting rough, dry and red. What do you think this is from?” When the skin flares up, there are so many factors to consider — not just the products you’re using, but habits and lifestyle as well. 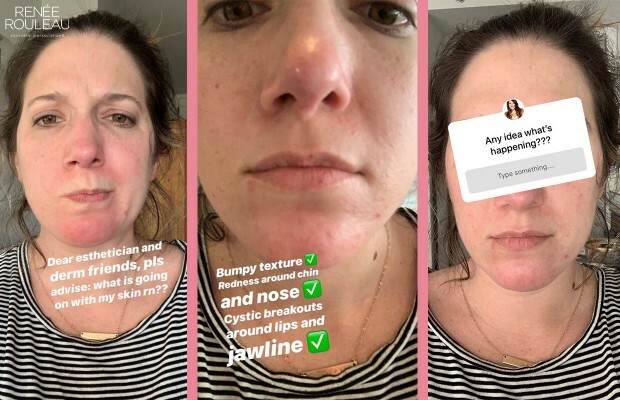 So there you go, it turns out her wool scarf was the cause of this face rash. Why does this cause a face rash? For starters, your skin has a barrier made up of natural lipids that help keep moisture in and irritants out. When this barrier is damaged (due to extremely cold winter temps or any of these other reasons), it creates tiny, invisible cracks in the skin. These cracks allow moisture to escape, leading to dryness and flakiness. A wool scarf or turtleneck sweater can be particularly irritating on the neck because the skin in this area is so thin to begin with. Wool is even known to trigger eczema flare-ups. What’s the best way to prevent a winter face rash? Obviously, you’ll want to avoid wearing clothing (such as turtlenecks) made of wool or any other material with scratchy-feeling fibers. Instead, choose materials that feel very soft to the touch. If you have a favorite wool scarf and just don’t want to give it up, be conscious of not wrapping it too close to the skin. For many people, simply having this new-found awareness allows them to position their scarf in a way that prevents that uncomfortable face rash. How can you soothe and fix a winter face rash that caused red bumps? 1. Put the fire out. Once you remove the cause of the face rash, you can quickly get the red bumps to go down by using a soothing, anti-bacterial mask. 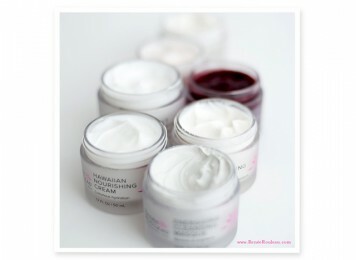 The go-to for anyone whose skin is acting up should always be Rapid Response Detox Masque. 2. Fix your skin’s barrier. 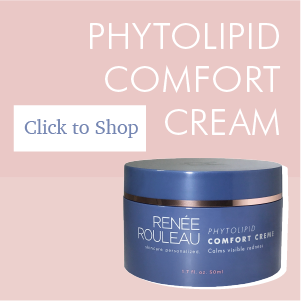 You’ll want to use a well-formulated moisturizer that will start to repair the skin’s protective barrier and seal up the invisible cracks so that skin can quickly return to its normal, healthy state. For the neck, it’s always best to use a cream formulated exclusively for this area. Try Intensive Firming Neck Creme. 3. Discontinue use of acids, retinol, and retinoids. Any time the skin is irritated, you’ll want to temporarily discontinue the use of products that exfoliate the surface layers of the skin or stimulate cell turnover. While products like exfoliating acids, retinol, and prescription retinoids play an important role in keeping your skin looking smooth, they can compound irritation when your skin is already sensitive. That being said, you don’t want to stay off of these products too long or you’ll start losing their great benefits. Add them back into your routine as soon as the skin gets back to normal. For more guidance, read my beginner’s guide to exfoliation and my beginner’s guide to retinol and prescription retinoids. Knowledge is power, so I hope this provides some new insight into why your skin might be unusually dry and rashy this winter. If you still experiencing irritation, make sure you’re avoiding these five common winter mistakes. 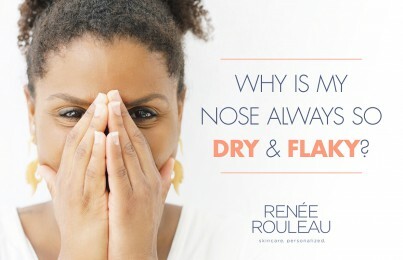 If your nose is always dry and flaky, here’s how to get it to stop.